It’s here! Dunkin Donuts now offers the Dunkin Donuts Delivery program so that all its fans can get their favorite coffee delivered by the door. Dunkin Donuts is no longer just a place to walk in, order, sit down, drink (eat maybe), and then leave. With the Dunkin Donuts delivery, your coffee will be on its way to your little corner of the US as quickly as you can say Dunkin Donuts. But how do you order from Dunkin Donuts? What are the delivery fees? What are the delivery times? Do they send their products all across the US? Or do they keep to only the big cities? The answers to all these questions and more will be in the article below. It’s very important to note, however, that Dunkin Donuts does not send out food to its customers, but only ground or whole bean coffee, along with some other novelty items. More about this later, however. First, we need to talk about the service in general. 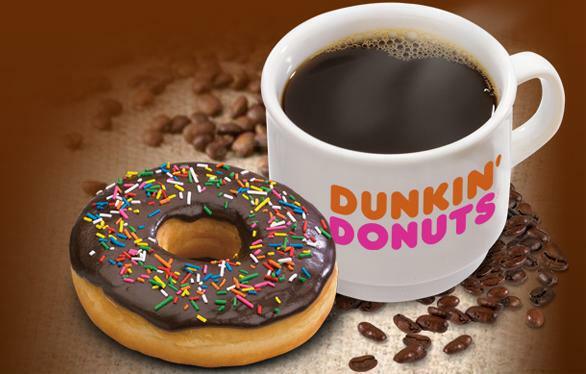 Get your Dunkin Donut delivery from America’s favorite coffee & donut place! Dunkin Donuts offers two types of delivery. The first Dunkin Donuts delivery comes from their shops. From there, people can order items that have not been brewed or cooked. This delivery is secured through either the US Postal Service or through UPS (at the user’s discretion or mandatory for those orders exceeding $100). All the Dunkin Donuts types of coffee. That’s right! With Dunkin Donuts you can get your favorite coffee, be it Dark Roast, French Vanilla, or even the Original Blend. This coffee can be either ground or whole bean. K-Cup Pods. These pods make your favorite coffee available for your espresso machine. The exact same flavors that are available for typical coffee are also available in the K-Cup Pod form. Dunkin Donuts mugs, travel mugs, and more mugs. If you’re into DD’s mugs, then you’ll be thrilled to know you can also order your favorite design through Dunkin Donuts Delivery. Dunkin Donuts T-Shirt. Of course, if you like to show off that you’re a Dunkin Donuts fan, you can order a T-Shirt. Dunkin Donuts Extras. What does Dunkin Donuts Delivery have except all of the above? Well, they have tea, collectibles, and they can even wrap you up a nice gift for someone you know loves coffee. Now, moving on to the second type of Dunkin Donuts delivery available, we get to talk about DoorDash. Were you expecting something else? With such a wide array of companies teaming up with this new and innovative to-your-door delivery service, it’s only natural that the Dunkin Ds also made an agreement with DoorDash. What to order through DoorDash from Dunkin Donuts? Basically, everything on their menu. Go to doordash.com/dunkin/. This is the official DoorDash link to Dunkin Donuts delivery. Open the DoorDash app. This is an optional step for those who like to order via their mobile device. Check availability. On this page, it’s important to see if DoorDash delivers to your area. More about Dunkin Donuts delivery areas in the next section. Select your products. After you’ve confirmed that your location is indeed available, check the online menu by DoorDash to see which Dunkin Donuts delivery items you want. Place the order. If your shopping bag is full of delicious coffee and donuts, place the order and then wait for DoorDash to deliver. Go to dunkindonuts.com. This is the official Dunkin Donuts delivery store. Here you’ll find everything you want from the Dunkin Donuts shop. Check what you want. Select the type of coffee. If you want to activate a subscription delivery plan, you can do that as well by selecting “My Regular Refills” from the top-right corner of the page. Add the items to your cart. Just like on any online shopping website, click “buy” and the items will be added to a virtual cart. Place the order. After selecting exactly what you wanted, place the order and wait for it! The Dunkin Donuts Delivery areas depend on the type of service you choose. For delivery from the Dunkin Donuts store, all areas of the US are available for orders under $100. For orders over $100, the Dunkin Donuts delivery areas are subjected to UPS delivery areas. The DoorDash delivery areas for Dunkin Donuts items depend on two things: whether your city has DoorDash availability. If this is the case, then you should also check if you have a Dunkin Donuts place nearby. If both these conditions are met, then Dunkin Donuts should deliver to your area. The timeframes for Dunkin Donuts Delivery vary. 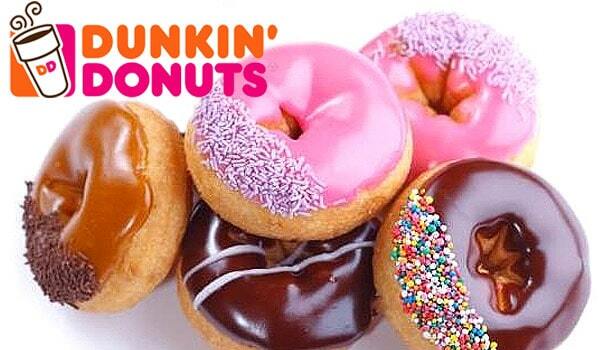 For Dunkin Donuts shop delivery, all orders are shipped within 2 days of placing the order. The time of delivery may subsequently vary depending on the location to which the specific delivery is being made. For orders made via DoorDash, the Dunkin Donuts delivery time should not be longer than 45 minutes (according to the company). Also, orders can be placed at any time between 7 AM and 10 PM. DoorDash does not mention any specific charge for its Dunkin Donuts Delivery. For more information, please refer to doordash.com. For the Dunkin Donuts Delivery store, the delivery fee is based on the weight of the products you order. For UPS delivery, a minimum of $3.99 per delivery is billed as tax. If the ordered items weigh more than the minimum for $3.99 delivery, then additional charges may apply. The US Mail (Postal Service) also calculates fees depending on the weight of the products. The Postal Service also has two types of delivery available, each with its own fees: the 1st class delivery and the priority delivery. All fees from Dunkin Donuts Delivery will go to the delivery services (either UPS or the US Postal Service). Hey Buddy!, I found this information for you: "Everything about Dunkin Donuts Delivery". Here is the website link: https://all2door.com/everything-dunkin-donuts-delivery/. Thank you.